So you’ve decided to get a tankless water heater, great. But first, you need to know the ins and outs. Don’t worry; we’re not going to get too technical, we’re just going to tell you the things you need to look out for to enable you to get the best tankless water heater you possibly can. First things first, you need to consider the total number of fixtures or faucets that would be supplied with hot water. 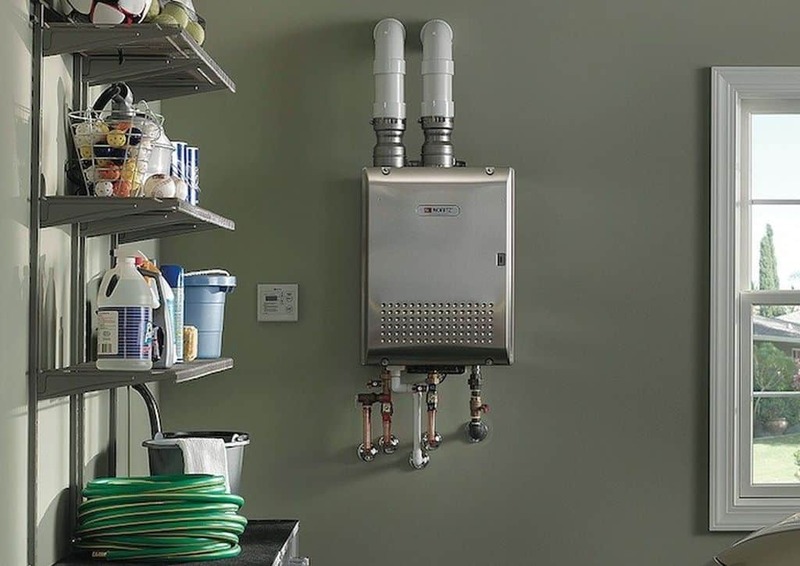 If you want hot water at any fixture in your house at any given time, then you should get the whole-house tankless heater. If you prefer hot water at a single fixture only, like a bathtub faucet, then a point-of-service heater is more appropriate. Next, you need to consider the flow rate or the total gallons per minute (GPM) of water used in your home. To do this, you have to find out the flow rate of each faucet or tap and then add them up. You have to do this because tankless water heaters don’t store heated water. So, it’s not about capacity; it’s about flow. If the quantity of water flowing through the heat exchange chambers of the heater is too high or too fast, then the water won’t be heated properly. This also happens when multiple taps are dispensing hot water simultaneously. Calculate the total flow in gallons per minute and look for a heater that can match that. If you cannot find one, you can either: reduce the amount of water you use, get multiple heaters, or use only one or two hot water dispensing faucets at a time. Climate and temperature differ with location. Humid places to do not require much heating as the temperature of pre-heated water is not very low. Colder regions are a different case. The heating requirement for heaters is measured in BTU (British thermal unit). This is the amount of heat required to raise the temperature of one pound of water by 1 degree Fahrenheit. Raising the temperature of water from colder regions to a specified temperature will require more BTUs and, thus, more power. Temperatures also change with the season. So, if you are getting a heater during the summer, make sure that it can also raise the temperature of the water during the winter season just as efficiently. After figuring out the requirements above, you can then move on to the type of heater to get. There are two basic types of tankless heaters: the gas-type and the electric-type heaters. The gas-type uses combustion to heat water while the electric-type uses thick copper rods. As their names suggest, they are powered by gas and electricity respectively. Gas units cost more upfront and require a ventilation system and gas piping, but they heat water faster than their electric counterpart. They can, however, be a bit wasteful with energy as they keep on heating water as long as their pilot light is on—which it always is. Luckily some models have an intermittent ignition device (IID) that turns the pilot light on and off as needed. This type can, therefore, handle higher flow rates. Electric units cost less upfront and are more portable than the gas types. They do not require as much energy but are slower when it comes to heating water. They also cannot handle as much flow as the gas types. They are, however, smaller. They do not require ventilation systems and can be powered by solar panels. Now it’s decision time. We hope this guide is simple enough to help you get the best tankless water heater for your household.